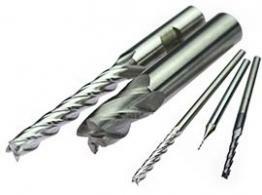 Diamond coated end mills are more resistant to abrasive wear than any other material. They are widely used in the Tooling (EDM), Mold Making (EDM), and General Manufacturing industries. A variety of diamond-coated end mills are available in both English and metric sizes from 2 to 4 flute.